I made this cake because Alan told me to. LOL. He didn't like this cake, but it was otherwise for me. His poison is my meat. 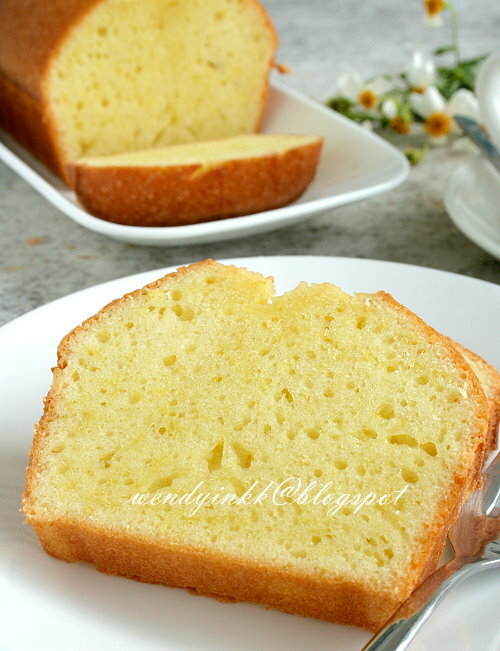 Both my MIL and I found this cake to be lemony and the bouncy texture absolutely delicious. It's not a fluffy fluffy type of cake, but something with more texture, but yet it's not dense. The texture is hard to describe. 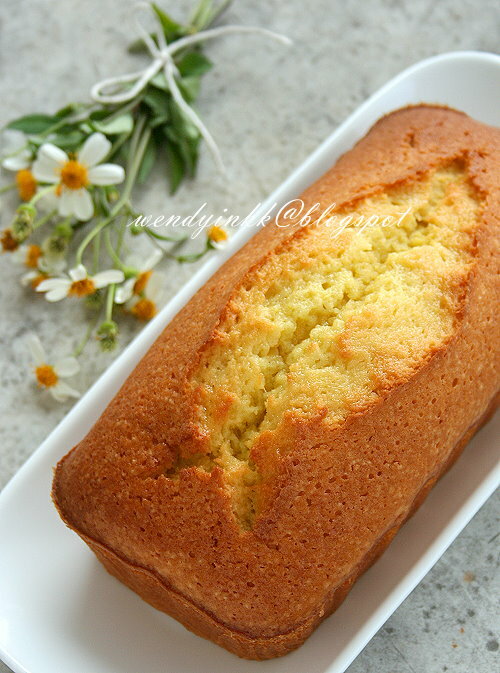 Almost similiar to the Lemon Thyme Pound Cake I made before, but this one is even bouncier. LOL. I'm not sure if the adjective I used is correct. But it's definitely not melt in the mouth, not fragile, the crumb is fine and enjoyable to chew. Won't take ages, don't worry, but longer than usual. I didn't want to do such a big cake and scaled it down to a 3 egg recipe. I also chose not to adorn the cake, let it go bare. 3.In a large bowl whisk together the eggs, sugar, cream, lemon zest, rum, salt and butter. 4.Separately, in a large bowl, sieve together the flour and baking powder. 7.To check if it is cooked insert a small knife blade into the middle of the cake, if it comes out clean it is done, the core temperature at this point will be 88°C. 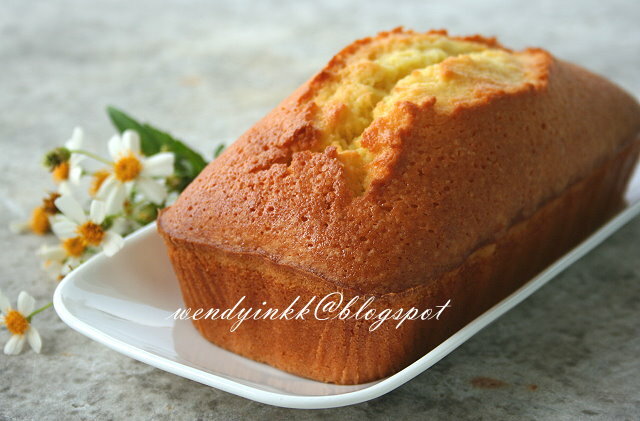 I loves lemon juice/lemon zest in cakes... so I know I loves this cake too! Must be moist as cream was added in. I loves this! Macam butter cake. I know what you mean by bouncy, is it in Hokkien we say "jun jun". I thinks its a nice cake. Wendy, if i don't have rum, what can i replace with? Moist and toing toing, nice! Hmm..... do you have any other liquor? I don't think lemon juice will be suitable here as it will interfere with the texture due to the the acidity. hahaha! See, I so obedient. Very nice golden color and the cake looks god too. I have seen his show and I must say that I have some knowledge of French cooking from him. The only challenge is to understand his Frengilish. He has been to Malaysia and been praise in one of the episode. Should watch it as it takes us from simple dishes to the upmost elaborate ones. it is must put dark rum?what is the diff dark rum and rum? Can I do without the rum? Yeah, I love the colour too! A few chefs on TV is speaking Frengilish, Stroobant is one, haha. This question, I dunno leh. Rum could bring out the flavour of the lemon in a much better way, I think. 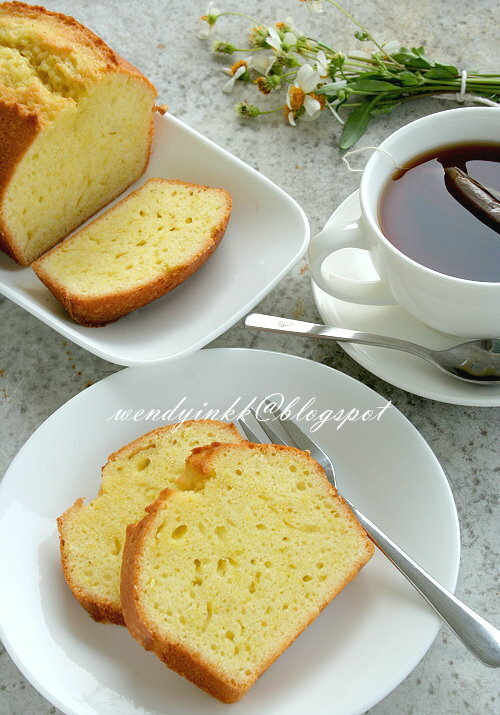 I like the 'honey-combed' look texture..perfect for afternoon tea with friends and family. from the way you described it, sounds like ' kuih'! LOL! hahah, not like kuih lor, u can say a cake like pak tong kou, hahaha!